I love my career as a therapist and coach. I feel I am living my dream. I adore my clients and respect their courage and tenacity. I love hiking in the mountains close to home which is at base of the Colorado Rockies. My favorite hiking place is Corwena Park just past the small town of Morrison. We have all four seasons here and I am glad for each one coming and each one going. I feel I am in paradise when I am in the wildness. I love the wildness so much I have gone on two Outward Bound trips with eight other women in the last few years. No shower for a week and sleeping on the ground under the stars. This is when I feel part of the universe. In those moments the dust of the cosmos flows through my veins. I like public speaking even though it scares the hell out me to be in front of people. It is an adventure to speak in front of people and not know for sure what will come up. I have a great sense of humor. Hence, the Toons-day Tuesday postings. I find great joy in laughter…yours and mine. People say they can hear my laughter from across the room and it is catchy. I have two grown children who have given me grandchildren. They mean everything to me. I have twin step-daughters who are inseparable and on a juicy adventure of exploring the world. I love the ocean. But I am afraid of the water even though I like to snorkel. Go figure! Sounds a little odd. My spiritual belief is that we are all here for our own unique purpose. Only you know what that purpose is and you have the answers. I can be your Sherpa. I get angry at people who are being mean to others. I will speak up which can get me in trouble. I think we all need help from time to time. I try to offer help whenever I can which can be annoying to those close to me. 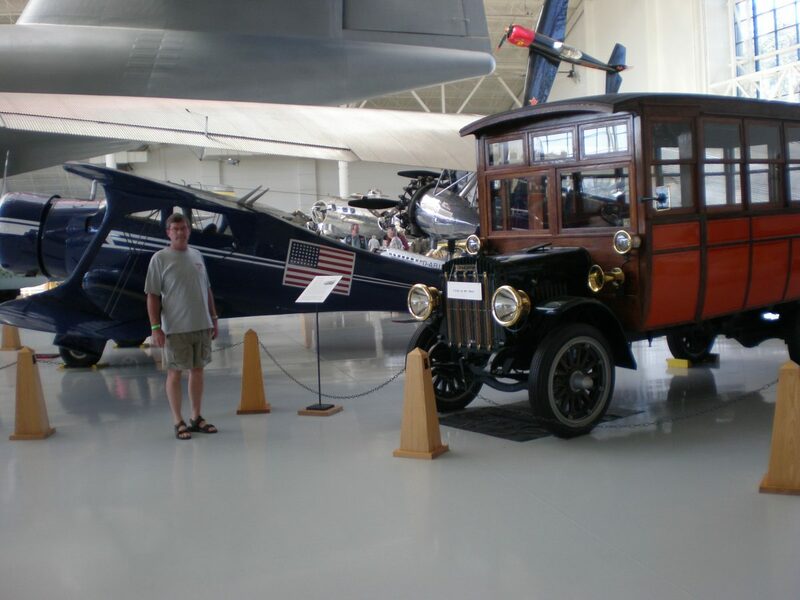 The picure of the car and plane is the Evergreen Aviation Museum in Oregon where Howard Hughs’ Spruce Goose lives. Vacation time. I love cars, motorcycles and things that go. I caught the gear-head bug from my husband. When we are out-n-about he introduces me as his bride. He tells me, “You’ll always be my bride.” I get to be a newlywed for a very long time. I am big kid inside. 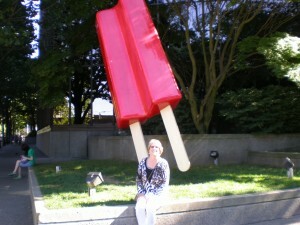 The Popsicle picture above is me on vacation loving the kid inside. Fun. How about you? Who are you? Shout out anything you feel comfortable sharing. 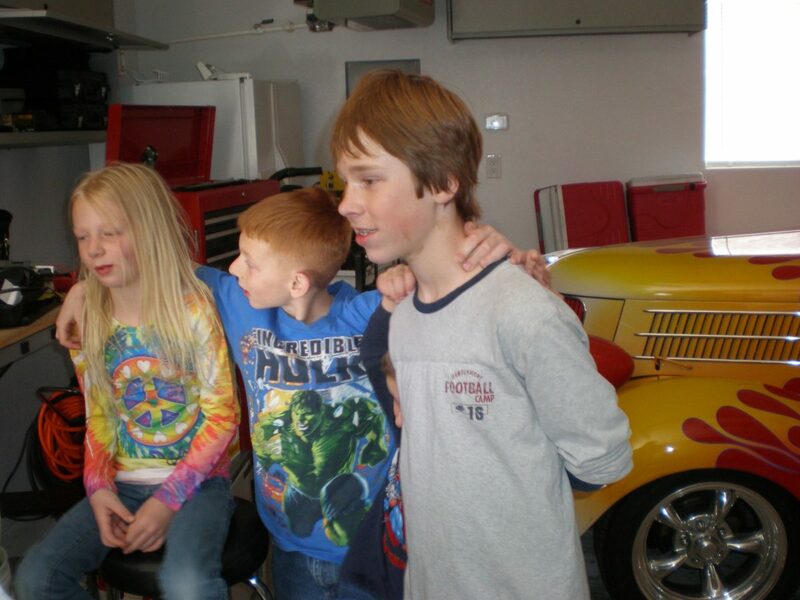 Three Grandchildren in the garage. Brenda, I can identify with so many of the “ways of being” you described. I love being a therapist as well, and I am constantly amazed at the courageous people who face and embrace life everyday, sometimes through very challenging circumstances. It a pleasure to have you stop by to chat. I feel like I’m getting to know you better as a fellow blogette and helper. I enjoy getting to know my guests. 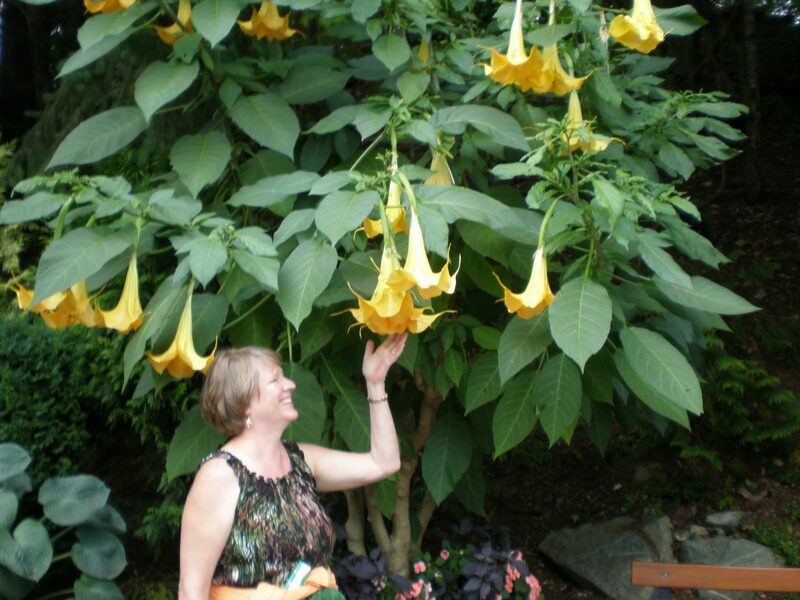 I absolutely agree with you about being amazed at the courage of people who take the steps to engage in therapy for personal growth and healing. I am honored to bear witness to their life journey. I adore and cherish my clients. As therapists we invite our clients to walk into the darkness of their soul and bring light to their suffering in the process of connecting to their authentic self.